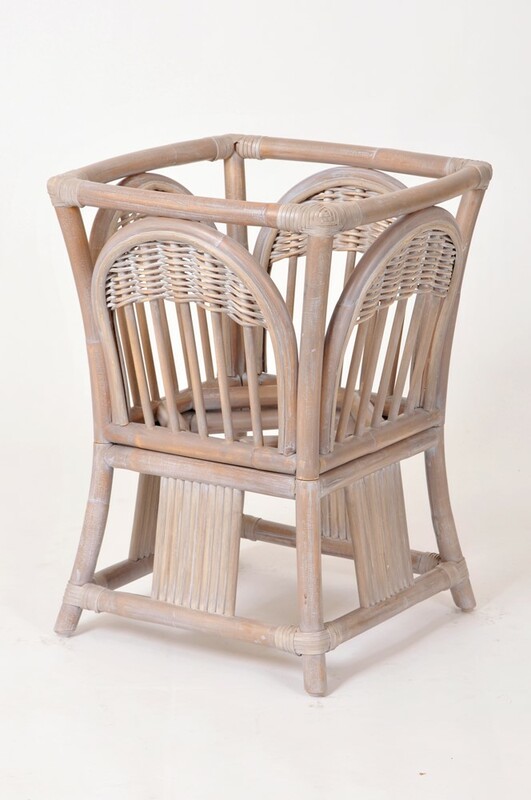 Select rattan is hand woven inside a reinforced rattan frame to provide excellent comfort. 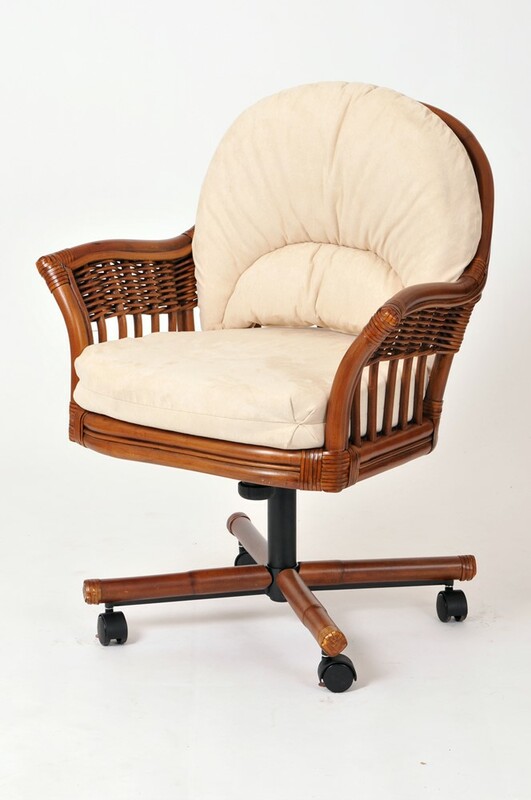 Marine plywood seats are united with wood screw construction in the rattan frame. The plush tailored cushions can be customized with various fabrics or customers very own material. 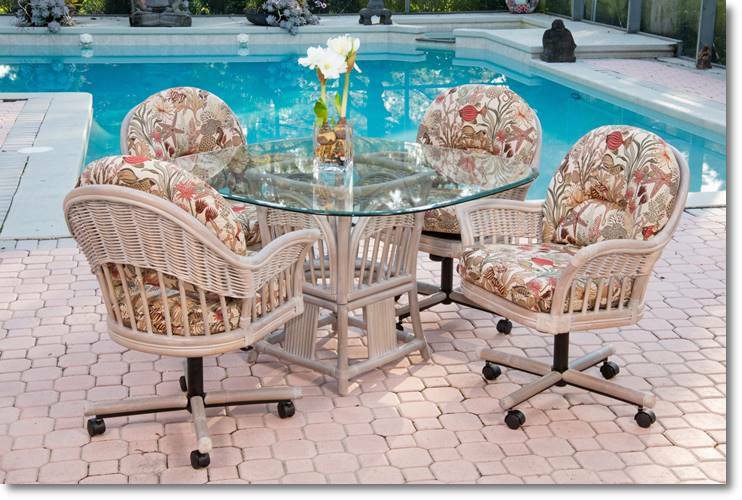 The swivel tilt caster design makes this set very comfortable. 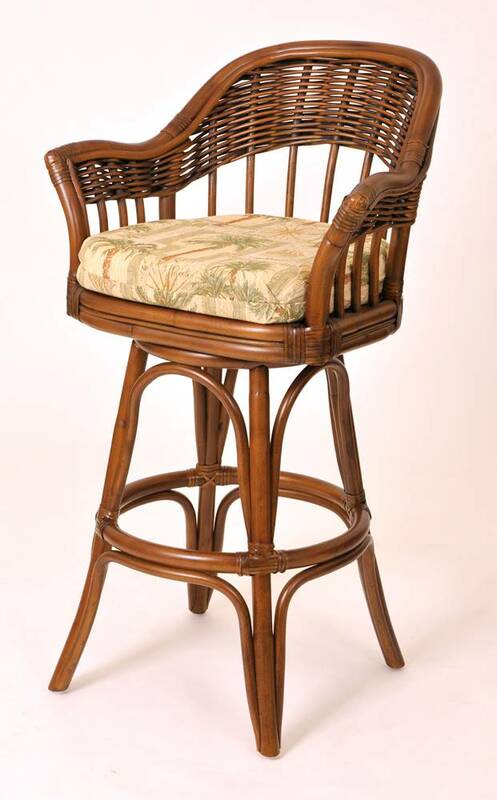 Available in Rustic Driftwood or Sienna Finish.